A two-day Masterclass with Professor Rashid Sumaila, Director, Fisheries Economics Research Unit, University of British Columbia and UWA Institute of Advanced Studies Visiting Fellow. In this two day masterclass, Professor Sumaila will discuss elements of fisheries economics and introduce bioeconomic theory. He will also present topical issues related to overfishing, overcapacity and the current state of fish stocks from the lens of economics, including, fisheries subsidies; illegal, unreported, unregulated (IUU) fishing; fish stock rebuilding; and climate change. The goal of the course is to help students understand and know how to apply the most common fisheries economics theories and methods to fisheries management and policy. By the end of the course, students should find it easier to follow the fisheries economics literature. 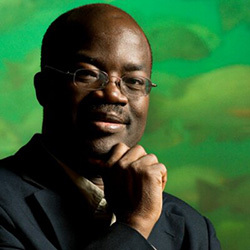 Professor Rashid Sumaila, Director of the Fisheries Economics Research Unit at the University of British Columbia is a globally recognized fisheries economist, with over 230 peer-reviewed publications, and over 60 books or book chapters. He has a Google Scholar h-index of 70 with over 20,000 citations. Rashid specializes in bioeconomics, marine ecosystem valuation and the analysis of global issues such as fisheries subsidies, IUU (illegal, unreported and unregulated) fishing and the economics of high and deep seas fisheries. Professor Sumaila has experience working in fisheries and natural resource projects in Norway, Canada and the North Atlantic region, Namibia and the Southern African region, Ghana and the West African region and Hong Kong and the South China Sea. Professor Sumaila is a UWA Institute of Advanced Studies Visiting Fellow and a UWA Forrest Visiting Fellow. 8am-10am - Lecture 1: The role of fish and fisheries in society: the global perspective. 10.30am - 12.30pm - Lecture 2: Economics and the environment. 8am-10am - Lecture 3: The basic bioeconomic model: strengths and weaknesses. 10.30am - 12.30pm - Lecture 4: Introduction to cost benefit analysis.